In A Rush? Try This! We all know how tricky it is to fit in everything into our morning routine before we dash out of the door to work. I’m a guy who likes to spend time in the morning getting ready to look and feel my best for the day ahead, but there are some days when I find myself in a bit of a rush. Here’s my morning routine for when I’m short on time. Once I get out of bed, I’m straight into my routine which starts by popping my contact lenses in before flossing and brushing my teeth. However busy my schedule, exercise is always included to energise me and kick start my day. Like a lot of you, I work to a tight schedule so I strip back my morning routine to ensure I cover all the essentials. As busy guys we all know how easy it can be to eat the wrong things when we’re in a rush. That’s why I’m so pleased to be working with Huel. 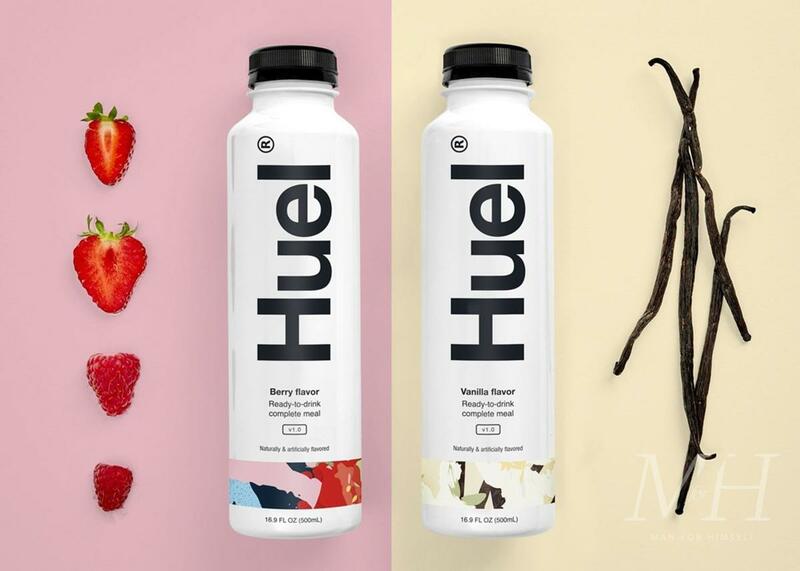 Huel is a lifestyle plant-based food brand with a mission to make nutritionally complete, convenient and affordable food with minimal impact on animals and the environment. Unlike other things we’ve seen on the market, this isn’t a fad diet drink, but it is a healthy option for guys like us. The brand new Huel Ready to Drink is just that, ready to drink right now. Like all Huel products, it contains all 26 essential vitamins and minerals plus additional phytonutrients (the good stuff from plants!). I’ve found it’s been the perfect addition to my day and it’s helped me to stay on course, eat well and feel good. After eating, I’m straight to the bathroom, contacts out and into the shower. I always ensure that I cleanse my face, essentially using a face wash to keep my skin clean and clear. If my hair feels like it needs it, I’ll use the Nioxin shampoo to remove grease and product residue from my scalp and hair before using a conditioner to smooth it and keep it feeling moisturised. My body also needs some care using a body wash to keep me fresh. Out of the shower and I’m on to my facial hair. I normally like to spend time wet shaving, but we’re talking short on time so I go for electric for ease and speed. I start by using a 3 in 1 treatment to prep my skin, reduce friction and condition the hair. I trim the hair and outlining on the edges before using the Panasonic 5 blade electric razor down onto my neck. I like it because it gives a super close shave with minimal friction. Your skincare routine doesn’t have to have 7 steps or use expensive products, but it is important to hydrate and protect your skin. I start my skincare routine using Bulldog Energising Moisturiser. It’s been designed to moisturise skin without leaving it feeling greasy or sticky and its enriched with natural ingredients. Rice, algae and maize help protect the skin from environmental pollutants as well as hydrating it. I then use a CC cream by Kiehl’s. A CC (colour correcting) cream, balances the look of the skin to give an instant boost and a healthy glow. This one by Kiehls includes factor 50. SPF should be an essential in everyone’s skincare routine, however much time you have or don’t. Next, I’m on to my hair. I start by using Aveda Thickening Tonic to prep and boost my hair before styling it with Firsthand Supply’s Clay Pomade. I really like this one at the moment because it gives my hair control, volume and natural hold. Obviously, I still set it in place with a blast of hairspray. I get my deodorant on before getting dressed and for an office day, I really do have a uniform of anything navy, white, blue or denim. I really just like to keep it simple. I also like to accessorise with glasses. These ones are my current favourites from GlassesUSA.com. No look would be complete without a quick blast of my fragrance. I love L’Artisan Parfumeur’s Fou d’Absinthe. It has notes of patchouli, pine needles and star anise. For me, it’s all about the mix of fresh and spice, with cool and woody. After that, I’m straight out of the flat and off to my office for work.